I can’t say I’m thrilled by the New Xbox Experience. 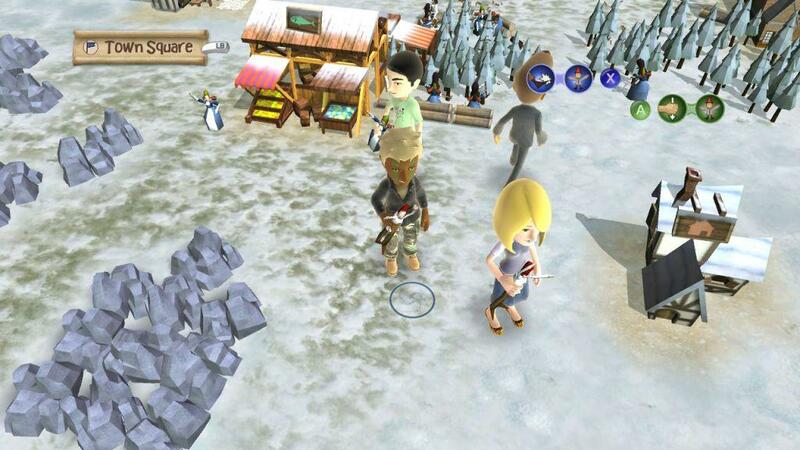 The interface is a thinly veiled ripoff of the PS3’s Cross Media Bar (or Xross Media Bar if your name is Kaz Hirai), and for their Xbox Avatars Microsoft managed to steal everything about Nintendo’s Miis except their flexibility and charm. Call me old fashioned, but I prefer my familiar old dashboard and my tiny gamerpic. Still, I can’t fault Ninjabee Software for taking advantage of the new system, which is just what they’ve done in A Kingdom for Keflings. 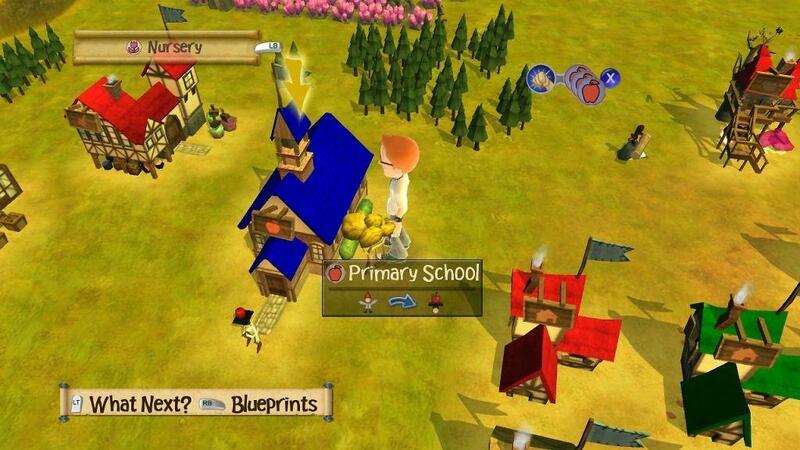 Part city builder, part god game and with a little Harvest Moon tossed in, this new Xbox Live Arcade title lets you become steward of a thriving preindustrial society. 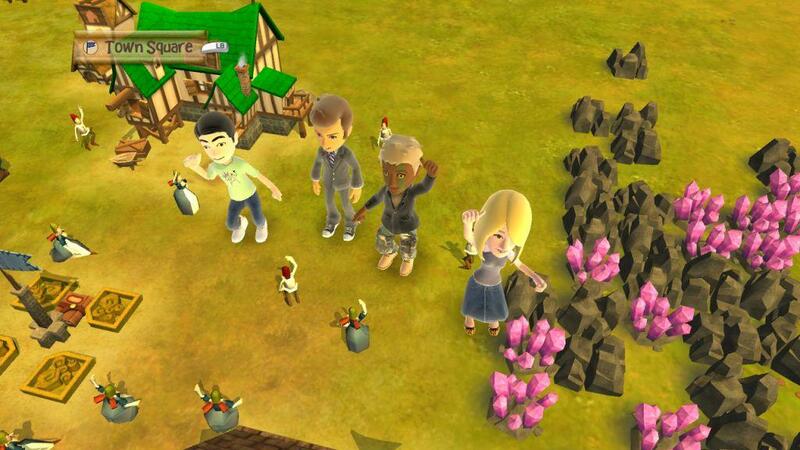 Ninjabee has taken the wholly uninspiring avatars and given them something useful to do—namely, direct the development of a burgeoning community. As one of four pre-set characters or, better still, your avatar, you take the role of a benevolent giant surrounded by little people known as Keflings. These little guys are quite capable of building a city, but they need your help to show them what to do and do all the heavy lifting. When you begin the game there will be a single small factory in the middle of a patch of land. The factory needs supplies, but luckily it is surrounded by the bottomless raw materials of nature. You “teach” the few Keflings at your disposal to harvest these resources by picking them up, placing them near a resource and then carrying them over to the factory. This tells them to mine the resource and carry it to the factory in a continuous cycle. Once the factory has enough supplies it can start cranking out basic structures, which you then carry to a desired location and arrange into a building. 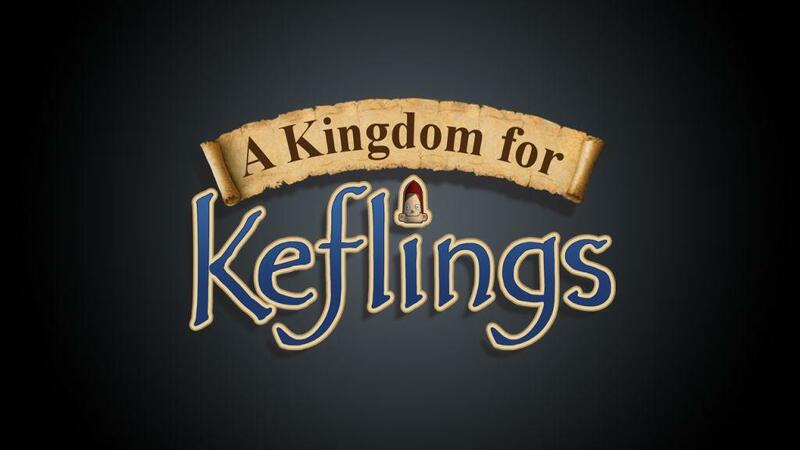 The first order of business is building houses so more Keflings will move into your area. Once you have a large enough work force you move on to building more factories that can refine existing materials into different ones, allowing you to make different buildings. As you progress, blueprints for new buildings and structures become available, so the game forces you to create a solid infrastructure before moving on to more challenging projects. This prevents you from diving in headlong and ultimately screwing yourself through faultless lack of experience, or as I like to call it, SimCity syndrome. I liked this approach because it takes the ever-present specter of miserable failure out of the city-building formula. As long as there are houses around the Keflings are perfectly happy and productive workers, so you don’t get the riots common to SimCity. Keflings are also pretty easy to direct; to alter a Kefling’s given task, simply pick him or her up, remove the little hat they are wearing and assign them a new job. Each job has a different hat (miner’s helmet for quarrying rock, cowboy hat for chopping lumber) so it’s easy to tell what everyone is doing at a given time. The end goal of the whole setup is to build a castle for the Keflings and appoint a king or queen, but along the way you have to set up smaller stations of government like a mayor. Once you install a local leader the missions start pouring in, and you go straight to the highest level ruler for your tasks. The initial setup of houses, factories and refineries may appear simple but in under an hour you’ll have plenty of blueprints unlocked and the game will really start to take off. For an XBLA title Keflings has a surprising amount of depth, and even when the castle is built and the royalty are in power the game seemingly goes on forever. Impressively, this depth and complexity never get too hard to handle, and without time-sensitive consequences like plagues, resource shortages, exhaustion or natural disasters, Keflings is a relaxing game to play. 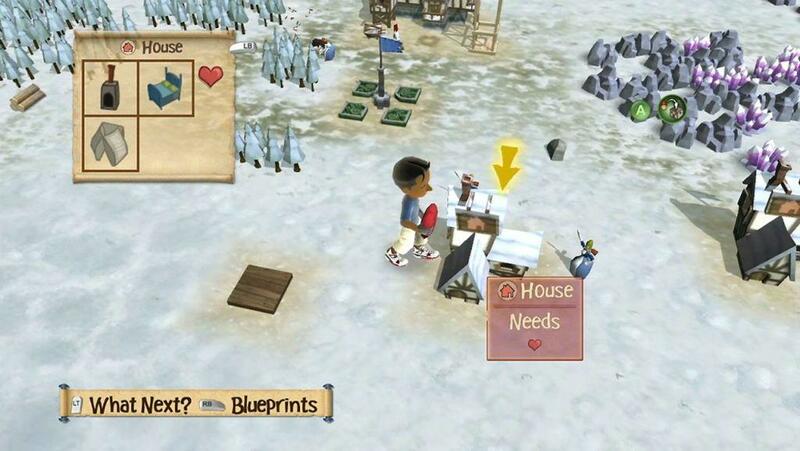 This calm, laid-back atmosphere is repeated in the game’s graphics and sound design. The visuals aren’t amazing, really on par with the relatively uncomplicated and unimpressive avatars, but the natural, medieval theme keeps them endearing. Little details like the seasons changing make the game homey. The music is mostly instrumental and acoustic guitar—folksy, soothing and strangely conducive to getting a job done. The sound effects are a collection of cute little noises for the Keflings and wooden construction sounds. I found it a bit odd that Keflings emit a brief surprised scream when you pick them up, even after they’ve been waving at you and trying to get your attention. On the whole the presentation is pleasant and subtle, similar to some of the more recent Harvest Moons. 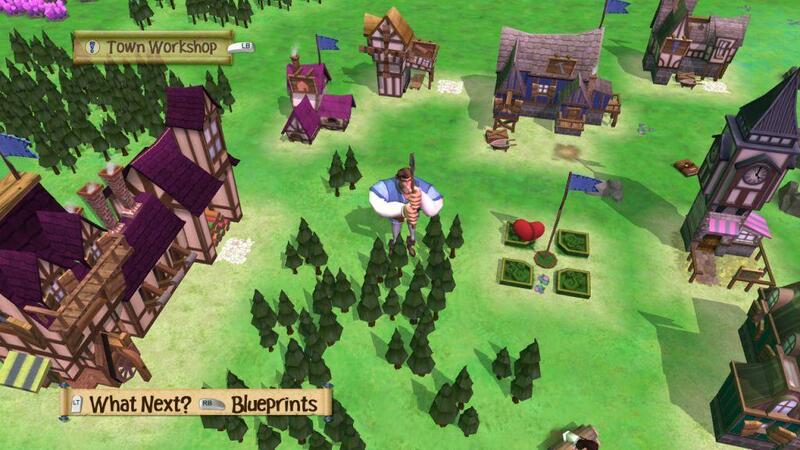 While the main game lasts, A Kingdom for Keflings is a great mixture sim flavors. You’ll probably sink more time into it than you ever intend to, and the drop-in cooperative multiplayer will keep it going long after you’ve established your kingdom. For 800 MS points ($10) you get a decent amount of content with some genuine replay value. A Kingdom for Keflings is one “casual” game that doesn’t go the cheap and insultingly simplistic route. It’s easy to play, therapeutic even, but packs enough content to keep you and three friends busy for quite some time. 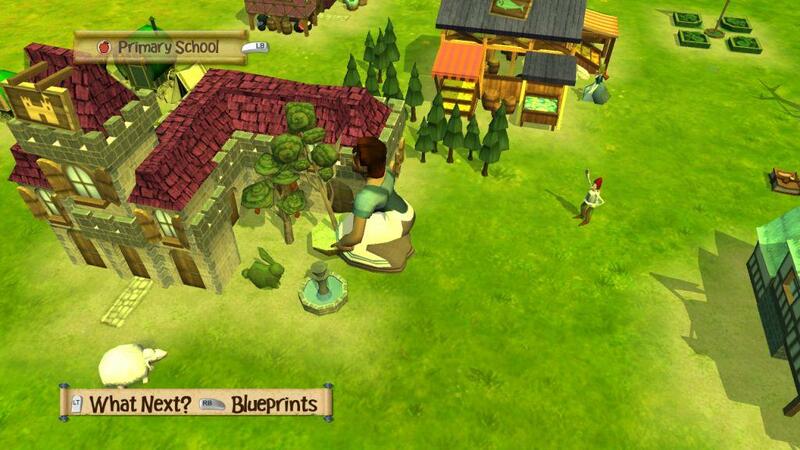 A Kingdom for Keflings puts a fun new spin on the city building formula. It’s rare that you have giants as benevolent helpers, and even rarer do you get to play as one. This community construction sim has soothing, open-ended gameplay with a cute theme, and content deep enough that you get your money’s worth. I've been gaming off and on since I was about three, starting with Star Raiders on the Atari 800 computer. As a kid I played mostly on PC--Doom, Duke Nukem, Dark Forces--but enjoyed the 16-bit console wars vicariously during sleepovers and hangouts with my school friends. In 1997 GoldenEye 007 and the N64 brought me back into the console scene and I've played and owned a wide variety of platforms since, although I still have an affection for Nintendo and Sega. I started writing for Gaming Nexus back in mid-2005, right before the 7th console generation hit. Since then I've focused mostly on the PC and Nintendo scenes but I also play regularly on Sony and Microsoft consoles. My favorite series include Metroid, Deus Ex, Zelda, Metal Gear and Far Cry. I'm also something of an amateur retro collector. I currently live in Columbus, Ohio with my fiancee and our cat, who sits so close to the TV I'd swear she loves Zelda more than we do.